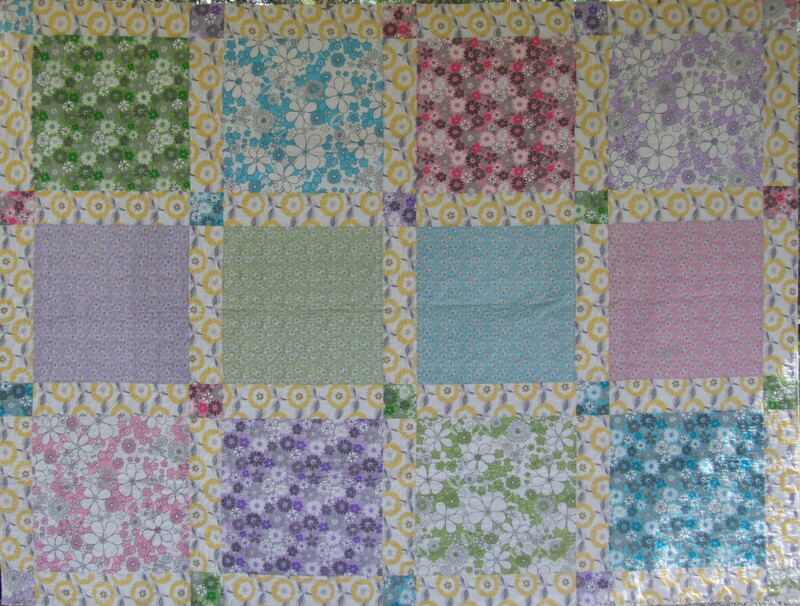 This unique single bed quilt comprising large floral blocks of the same fabric collection, sashed with a complementary fabric and matching cornerstones. 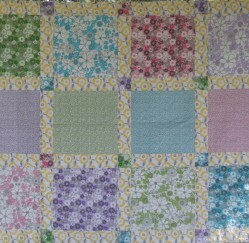 The backing is a tone-on-tone yellow and the quilting pattern is flowers with dragonflies. Top quality cotton for both fabrics and wadding. 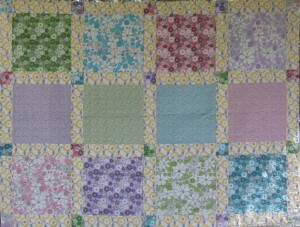 A lovely spring like quilt for those who love flowers.